Pesticides are the major technology used in the management of field and postharvest losses due to pests. There is growing demand for effective alternatives that present low health risks and conserve ecosystems and biological diversity. Pesticidal plants are increasingly used as alternatives where synthetic products are unaffordable, have limited availability or are ineffective. Plant materials, however, are often used inefficiently and their effective use requires optimisation. In Africa wide-scale uptake of pesticidal plants remains limited despite the success of pyrethrum in some countries and other pesticidal plant products in China and India. This is mainly due to lack of data on efficacy and safety, inconsistent efficacy of plant products, the prohibitive cost of registration, and an inadequately developed conventional pesticides sector. Globally, the demand for botanicals is poised to grow due to an increasing shift in consumer demand for safe food, increasing organic farming, lobbying by environmentalists and the increasing pressure from new regulations on internationally traded foods in Europe. These demands can only be met by formalising production, marketing and use of pesticidal plants. This has to be supported by friendly registration procedures, sustainable forest management, propagation and cultivation of pesticidal plants. This paper presents a critical review of the enabling environment required for wide-scale adoption and commercialisation of botanical pesticides in sub-Saharan Africa. We conclude that regulations and protocols for production, marketing and trade need to be reviewed to facilitate the development of the botanicals sector in Africa. This work was funded by the European Commission’s European Development Fund ACP S&T Programme grants FED/2009/217064 (ADAPPT) and FED /2013/329272 (OPTIONs). The authors would like to express their gratitude to all anonymous reviewers who took time to provide invaluable comments on the drafts of this paper. AGENDA (2006). Pesticide and poverty: a case study on trade and utilization of pesticides in Tanzania: Implication to Stockpiling; Final Report, Dar es Salaam, http://www.pan-uk.org/archive/Projects/Obsolete/15.%20Trade_and_Utilization_of_Pesticides_in_Tanzania_Final.pdf. Accessed 18 Feb 2014. Alam, G. (2000). A Study of Biopesticides and Biofertilisers in Haryana, India. Gatekeeper Series no. 93 IIED, London. http://pubs.iied.org/pdfs/6348IIED.pdf. Accessed 18 Feb 2014. Berger, A. (1994). Using natural pesticides: Current and future perspectives: a report for the Plant Protection Improvement Programme in Botswana, Zambia and Tanzania. Swedish University of Agricultural Sciences. http://www.blackherbals.com/using_natural_pesticides.htm. Accessed 6 March 2014. Bhushan, C., Bhardwaj, A., & Misra, S. S. (2013). State of Pesticide Regulations in India, Centre for Science and Environment, New Delhi. http://www.cseindia.org/userfiles/paper_pesticide.pdf. 18 February 2014. Centre for Science and Environment (2011). Pesticide Management Bill 2008. Centre of Science and Environment, New Delhi. http://www.cseindia.org/userfiles/Factsheet-Pesticides.pdf. Accessed 6 March 2014. EC (2010). Thematic Strategy on Sustainable Use of Pesticides, European Union, Brussels http://ec.europa.eu/environment/ppps/home.htm. Accessed 11 Nov 2012. FAO (2005). International Code of Conduct on the Distribution and Use of Pesticides. Food Agriculture Organisation of the United Nations Rome. http://www.fao.org/docrep/018/a0220e/a0220e00.pdf. Accessed 18 Feb 2014. FAO (2012). FAOSTAT Database on Pesticides trade. Food Agriculture Organisation of the United Nations, Rome. http://faostat.fao.org/site/423/default.aspx. Accessed 18 Feb 2014. Foerster, P., Varela, A., & Roth, J. (2001). 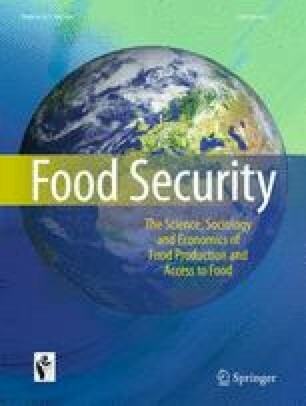 Best practices for the Introduction of Non-Synthetic Pesticides in Selected Cropping Systems: Experiences gained from selected crops in Developing Countries, GTZ, Eschborn, 152 pp. http://www2.gtz.de/dokumente/bib/02-0007.pdf. Accessed 18 Feb 2014. Government of Ghana (2004). Pesticides Control and Management Act, 1996, ACT 528. Government of the Republic of Ghana. http://www.lexadin.nl/wlg/legis/nofr/oeur/arch/gha/528.pdf. Accessed 18 Feb 2014. Government of Kenya (2013). The Pyrethrum Act, 2013, Special Issue. Government of the Republic of Kenya Government Printer, Nairobi http://kenyalaw.org/kl/fileadmin/pdfdownloads/Acts/PyrethrumActNo22of2013.PDF. Accessed 18 Feb 2014. Government of Tanzania (1997). The Plant Protection Act No. 27. Vol. 78, Government of the United Republic of Tanzania, Government Printer, Dar es Salaam http://www.ippc.int/file_uploaded/1285751010_Plant_Protection_Act,_1997.pdf. Accessed 18 Feb 2014. Guillon, M. (2004). Current world situation on acceptance and marketing of biological control agents (BCAS) International Biocontrol Manufacturers’ Association. http://www.ibma-global.org/IBMA_Public_Positions/20041028_Presentation_BCAs_Thailand_Indonesia_Cuba.pdf. Accessed 18 Feb 2014. McLaughlin Gormley King Company (2010). About Pyrethrum. McLaughlin Gormley King Company http://www.pyrethrum.com/About_Pyrethrum/Growing_Regions.aspx. Accessed 18 Feb 2014. Mudimu, G. D., Chigume, S., & Chikanda, M. (1995). Pesticide Use and Policies in Zimbabwe: Current Perspectives and Emerging Issues for Research. Publication Series No. 2 Pesticide Policy Project Hannover. http://www.ifgb.uni-hannover.de/fileadmin/EUE_files/PPP_Publicat/Series/PPP02.pdf. Accessed 6 Mar 2014. Natural Resources Institute (2010). Final technical report: Southern African Pesticidal Plants (SAPP) Project. Caesalpinioid woodlands of Southern Africa: optimising the use of pesticidal plants. www.nri.org/projects/sapp/docs/sapp_ftr.pdf. Accessed 18 Feb 2014. O’Brien, K. P., Franjevic, S., &Jones, J. (2009). Green chemistry and sustainable agriculture: The role of biopesticides. Advancing Green Chemistry. http://advancinggreenchemistry.org/wp-content/uploads/Green-Chem-and-Sus.-Ag.-the-Role-of-Biopesticides.pdf. Accessed 18 Feb 2014. Omiti, J., Waiyaki, N., Otieno, D., & Chele, A. (2007). Policy and Institutional Interventions to Revitalize Kenya’s Pyrethrum Industry. Discussion Paper No. 68. Kenya Institute for Public Policy Research and Analysis (KIPPRA). http://www.kippra.or.ke/Resources/kippra-downloads.html. Accessed 18 Feb 2014. PCPB (2009). Product registration: Application forms, requirements and guidelines. http://www.pcpb.or.ke/index.php?option=com_content&task=view&id=40&Itemid=31. Accessed 18 Feb 2014. Rhoda, B., Freyer, B., & Macharia, J. (2006). Towards reducing synthetic pesticide imports in favour of locally available botanicals in Kenya: Conference on International Agricultural Research for Development, October 11–13, 2006, Tropentag, Bonn. http://www.tropentag.de/2006/abstracts/full/158.pdf. Accessed 6 March 2014. Sinha, B., & Biswas, L. (2008). Potential of Biopesticide in Indian Agriculture vis-a-vis Rural Development. India, Science and Technology: 2008. NISTADS / CSIR http://www.nistads.res.in/indiasnt2008/t6rural/t6rur17.htm. Accessed 18 Feb 2014. Tata Strategic Management Group (2013). Indian Agrochemicals Industry Imperatives of Growth Knowledge and Strategy Paper, 3rd National Agrochemicals Conclave, 2013, FICCI, New Delhi http://www.tsmg.com/download/reports/Indian_Agrochemicals_Industry_2013.pdf. Accessed 18 Feb 2014. UNEP (2007). Chemical use in Africa. Encyclopedia of Earth April 13, 2007. http://www.eoearth.org/article/Chemical_use_in_Africa?topic=49513. Accessed 18 Feb 2014. U.S. Environmental Protection Agency (2013). What are Bio pesticides? http://www.epa.gov/oppbppd1/biopesticides/whatarebiopesticides.htm. Accessed 18 Feb 2014. World Bank (2005). Summary of Kenya Value Chain Analysis. Note Number 8, September 2005. World Bank Group, Africa Region, Private Sector Unit. 15. http://siteresources.worldbank.org/EXTAFRSUMAFTPS/Resources/note_8_screen.pdf Accessed 18 Feb 2014.